With the new year comes the excitement of new hotel openings, and what a thrill it is! 2019 has only just begun and we already have our travel wishlist filled out. From Rwanda to New Orleans, this year will be one for the books! The technology hospitality company revolutionizing the apartment hotel, Domio is giving a new meaning to group travel. Domio properties cater to group travelers with units five times the average hotel size U.S., which cost about 25% less, on average, than similarly-sized hotels. 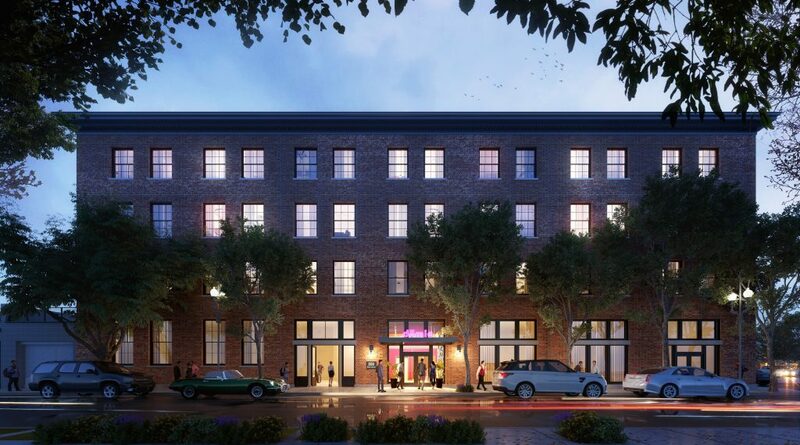 Planning to triple its footprint over the next 12 months, Domio is introducing the first upscale apartment-hotel in the heart of New Orleans— Domio Baronne ST — slated to open in January 2019. Offering custom interiors by in-house Domio designers with handpicked furniture, accessories, and art to bring out the natural beauty of each space, Domio has created their own branded wallpaper, personalized to the cultural city of New Orleans. Travelers will enjoy new, modern facilities inside of a historic Warehouse District building equipped with a game room, business center, premier fitness center, and 24-hour concierge. Perfectly situated from the historic French Quarter, the Warehouse District is filled with the city’s most beloved museums, brunch spots, and bars for visitors to explore – where old New Orleans meets new. Traveling solo or with fifteen friends, Domio Baronne St. has the right space for any stay, no matter who’s coming. With the installation of Ellen DeGeneres and Portia de Rossi’s new gorilla conservation center with the Dian Fossey Gorilla Fund, as well as new safari camps such as Wilderness Safaris’ iconic Bisate Lodge gaining visitor traction, Rwanda is gearing up for another year of widespread ecotourism, primarily focused on the conservation of the country’s endangered wildlife. 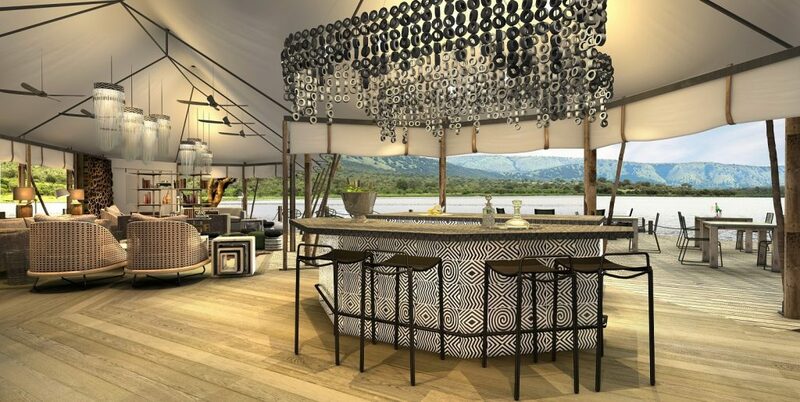 To add to the excitement, Wilderness Safaris will open a new camp in Rwanda’s Akagera National Park in March 2019—Magashi Camp. This six-tented camp, featuring a luxurious lounge, dining and bar area, wine cellar and pool, will be situated in the north-eastern part of Akagera overlooking Lake Rwanyakazinga (home to one of Africa’s highest hippo densities, some very large crocodiles, and the secretive stitatunga and shoebill stork). Akagera has undergone an incredible transformation in the last eight years where poaching has essentially been eliminated andwildlife is now thriving. Guests will be able to view a range of wildlife on expertly-guided game drives, walks and boating trips, including recently reintroduced lions and black rhinoceros. Other animal sighting opportunities will include: buffalo, leopard, elephant, giraffe, spotted hyaena, zebra, topi, roan, eland and almost 500 species of birds. Arriving in spring 2019, Andaz Palm Springs will be the mid-century, design-inspired destination’s newest luxury lifestyle hotel. 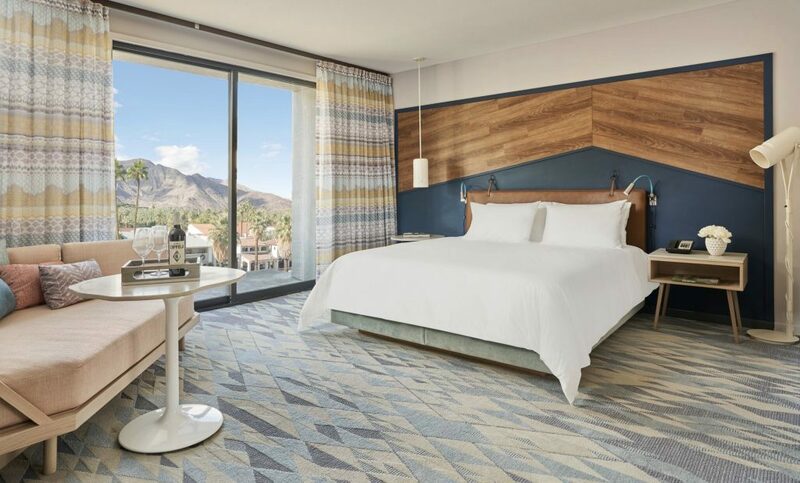 Featuring 150 guestrooms, the hotel will be located in the heart of downtown Palm Springs, on the famed North Palm Canyon Road. The hotel, designed by Chapi Chapo out of Toronto, Canada, is being built as a collection of small buildings and guest room bungalows, surrounding two outdoor pools and garden areas on an elevated patio terrace. It will feature striking panoramic views of the San Jacinto Mountains and city. Natural light will pour into all meeting spaces and all guest rooms will have private, walk-out terraces. The hotel’s signature Argentinian restaurant is being built with incredible views overlooking the main pool and San Jacinto Mountains as a backdrop. The restaurant will feature creative and sustainable local cuisine and premium cuts of steak, traditional South American-inspired seafood, ceviches and handmade empanadas will be menu stand-outs. Additionally, an open-air lounge will sit adjacent to the indoor/outdoor signature restaurant, and a poolside bar will lend itself to dramatic sunsets against the mountains. Approximately 10 retail spaces will occupy the hotel’s first floor, offering convenient, contemporary restaurant and fashion retail experiences. Known as Europe’s leading wellbeing and medical health resort, Grand Resort Bad Ragaz is comprised of three luxury resorts, specialty spa suites and a Medical Health Center (MHC) and Clinic. 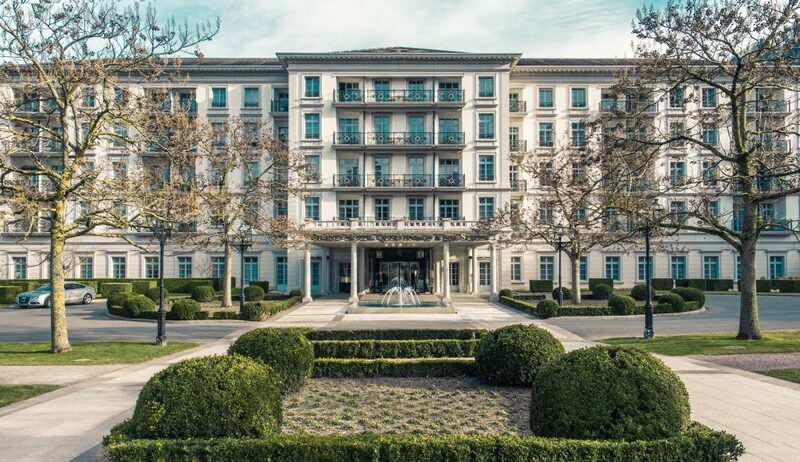 In 2019 the flagship property, Grand Hotel Quellenhof, opened in 1869 is celebrating its 150th anniversary with a multi-million dollar renovation including new accommodations, dining options, and experiences. As a result of the renovations and anniversary, the resort is partnering with well- renowned Swiss chef, Sven Wassmer, who at age 31 already has two Michelin stars and 18 GaultMillau points under his belt. The new lifestyle restaurant concept will be introduced in July 2019, and will initially replace the former restaurant Bel Air and be made up of two parts: ‘Red Bel Air’, a health-conscious lifestyle restaurant, where dishes will be conceived in collaboration with a nutritionist and with head chef Wassmer. ‘Blue Bel Air’ will become the signature restaurant of chef Wassmer, who will greet guests to an informal dining atmosphere with an open show kitchen and spectacular wine cellar, five nights a week. 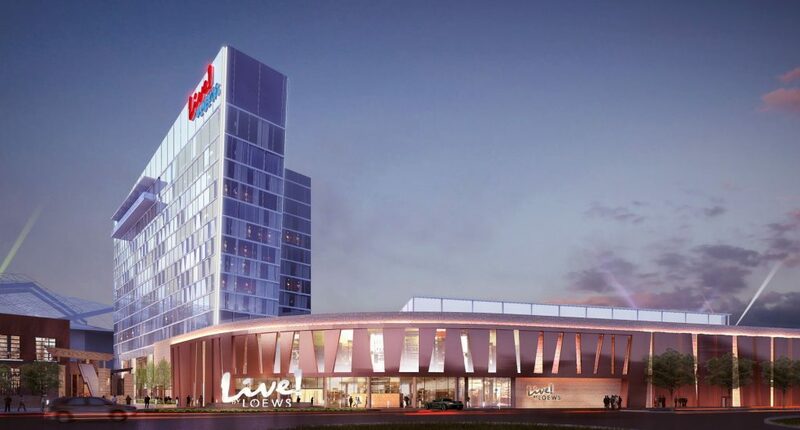 In August 2019, Loews Hotels & Co, The Cordish Companies and Texas Rangers will officially open the doors to the new $150 million flagship, Live! By Loews- Arlington TX hotel and convention center at Texas Live! The new hotel will bring a luxury, resort‐style, hospitality experience to Arlington for the very first time. The upscale hotel will blend sports and entertainment with first‐class hospitality and superior amenities, providing a vibrant destination perfect for meetings, events, conventions, sports fans, and travelers and locals alike. The 14-story tall, 302 room hotel will feature unique spaces for events and entertainment, including the Tower Terrace – a 40’ tall by 60’ wide veranda-style cutout through the hotel tower, providing a distinctive gathering space for all personalities; an outdoor event lawn for weddings and special events; an outdoor infinity-edge pool; private rooftop terrace; and a two-story 35,000 square-foot Grand Event Center. The hotel will have a signature restaurant, bar, pool bar and onsite barista, as well as a working brewery within the hotel for a fresh perspective in world-class craft beer. Texas Live!, anchored by Live! by Loews, is part of a $4 billion vision for the Arlington Entertainment District that includes the Rangers new $1 billion ballpark and preservation of Globe Life Park, ideally positioned between the Texas Rangers’ Globe Life Park and the Dallas Cowboys’ AT&T Stadium. Texas Live! is steps out the front door of the hotel, and will feature dining, retail and nightlife options. Reservations will be accepted beginning in early 2019.